This is just a very quick article to explain in simple terms what the national Gathering of the groups is for, and why every dedicated Yesser and local group member should be attending as a top priority. The Gathering is designed to be the start of a collective process that has local groups, their members, individual Yessers and all of Scotland’s different community needs at its centre. It is a process of local group mobilisation where individual participation, group consent, popular support and new technology come together to build YES into an effective, non-party political, campaigning force focused on winning IndyRef2, whenever it’s called. The organisers and the event itself have absolutely NO agenda to push, apart from providing a platform from which the grassroots can collectively define for themselves how best to organise and work together in preparation for winning IndyRef2. Only the groups and active Yessers can collectively set out a practical campaign agenda for themselves and the movement, one that avoids factionalism and naturally comes with the authority of its activists. Autonomous groups lead themselves, so the real task of the Gathering is to identify: shared experiences, campaign ideas, resources and proposals that the groups collectively feel are of strategic importance to the movement. 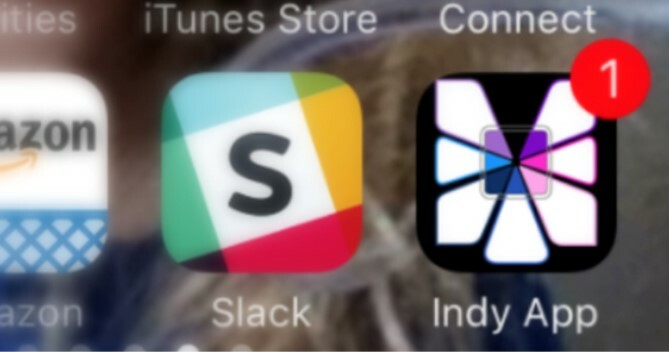 These will then be posted on the new IndyApp for the newly networked groups all across the country to assess and decide upon for themselves (the Gathering will also see the official launch of IndyApp2.0). So, we would like to invite all Group members and dedicated Yessers to come along and attend this first national Gathering of the grassroots. It has been designed as a day of discussion and workgroups, where all those attending can have their voice heard and develop ways for the grassroots to begin to come together. It’s a face-to-face way to start creating the many social and campaigning Venn diagrams needed to see where local group interests and activities overlap across the movement. Once mapped, we can then develop effective ways for those overlapping interests to be acted upon collectively by every interested group and campaigning individual that wants to be involved. This is exactly what the Gathering and new IndyApp have been designed to do. So please come along, share your experience and have your voice heard. The wider the variety of community groups and individuals participating, the better the movement is represented and the more powerful our collective discussions become. The referendum is coming and we need to start building now, because IndyRef2 will not be 2 years of campaigning like last time: it will short and sharp! Please come along to the Gathering and let’s all build that rocket now, together, ready for blastoff! Registration, tea and hot breakfast rolls start from 9am then Dennis Canavan kicks off proceedings with his keynote speech at 10am followed by an address to the Gathering from Mhairi Black by video. From 10:30 attendees take over. We all break into workgroups and the day’s vital work (and socialising) begins. Tickets can be purchased direct from links on our website HERE. There will be no profit made, and even if we sell out the venue, the event will still run at a loss of £2K! That’s ok though, because the Gathering is NOT about profit: it’s about coming together to self-organise as a movement. So, why not be a part of making that happen AND have a great day working and socialising with fellow Yessers from all over the country into the bargain? This is your chance to guide your movement. Don’t miss it. 9am – 5:45pm, Sunday the 27th of May (Bank Holiday weekend). The Gathering: £14each. Prices include full days catering and Paypal booking fees. No profit will be made and all event accounts will be published. For tickets: go to National Yes Registry and follow the links. 1) You do realise you’ve provided a link to spending rules & guidance for the Scottish independence referendum of 2014, some 4 years ago? 2) A subsequent Scottish independence referendum hasn’t actually been announced, so we’re not in a pre-referendum period? Hence, as my limited understanding goes, I’d hazard a guess and say your linked information & cost questioning is entirely moot. I may be wrong, but I think you probably know that. @Andy Borland, I am sorry, but I am not allowed to post links to documents that do not yet exist, due to the tendency of temporal paradoxes to tear holes in the space-time continuum. That past guide interprets rules for a category of referendum. The rules may have changed since, and may yet change. The guidance clearly states that prior spending, not just spending within the referendum period, counts. It may be that the app is very cost-effective. I am just curious about how it features within budgetary planning for the regulatory framework.